In March 2011 the government published a lengthy consultation paper which set out proposals for a wide-ranging reform of the UK competition regime. One section of this consultation paper was devoted to the criminal cartel offence under the Enterprise Act 2002. The government argued that the need to prove dishonesty as an element of this offence had made prosecutions too difficult and, in consequence, the introduction of the offence in 2003 had not had the intended deterrent effect. The paper puts forward four options for a new model offence with a preference for the one which would criminalise secret price-fixing agreements with no requirement to prove dishonesty as a specific ingredient of the offence. But is this the right approach and is it too soon to be proposing such a radical change? The government's proposals attracted a large number of responses. A quick survey shows them to be uniformly hostile to the removal of the dishonesty element. They almost all make the same central point: paucity of cases is not necessarily an indication that the regime is not functioning well. To put this another way, there is insufficient evidence to establish that the dishonesty element has led to otherwise strong cases not being brought to court. Plainly the OFT's performance in relation to prosecutions of this offence is a matter of legitimate public concern. In the last eight years there have only been two prosecutions. And in the only one of these which was contested (BA-Virgin or R v George), the OFT's case collapsed because of its inadequate capability to deal with certain investigatory procedures. So on the face of it, enforcement of this offence is not working out as the government intended. However, a fair appreciation of the OFT's record needs to take account of three important factors - all of which work against the bringing of prosecutions. First, in the realm of competition law enforcement generally, the main weapon available to regulators is leniency. In common with the US approach, the OFT believes that the best means to achieve compliance is a clear policy which encourages cartel participants to report themselves. This is underpinned by the opportunity to achieve a non-prosecution outcome in some cases. So a lack of prosecutions may in fact be a measure of the OFT's success. In order to fairly determine this, what is needed is an evaluation of the leniency applications made since 2003 to see how many of them were made partly out of a desire to limit the threat of a prosecution. Secondly, as the international record of criminal cartel enforcement demonstrates, the majority of alleged cartels which are selected for prosecution are, for reasons beyond the scope of this article, bipartite ones. Unlike civil litigation, prosecutions tend to be of one set of participants connected to company A with the other set connected to Company B being immunised prosecution witnesses, as in the BA-Virgin case. As any prosecutor well knows, a case built on the purported credibility and honesty of witnesses from A whose evidence has only been obtained as a result of an immunity deal and whose conduct was the same as the accused from B will always be a risky one. The witnesses may turn sour on the prosecutor and the court may regard the prosecution with distaste taking account of the fact that pragmatism has apparently scored over principle and that the accused have palpably been singled out for prosecution whilst the others happened to do a deal which meant they escaped justice so long as they heaped blame on the accused. Whilst these problems may also infect a more multi-party case, the mirror-image issue is unlikely to be as pronounced. Thirdly, the likelihood is that most cartel investigations are multi-jurisdictional with the implication that what one enforcer does in one country is likely to shape the approach of others. A decision made in, for example, the US by the cartels section of the Department of Justice to settle a case via a non-prosecution agreement is likely to fetter the ability of the OFT to prosecute anyone concerned in the same alleged cartel. So an antecedent and often uncoordinated decision by one prosecutor to extend leniency can lead to other prosecutors having to accept they have to act likewise. This is not a problem confined to cartels; much of the SFO's work concerning overseas corruption has been stymied by an announcement made in Washington DC that the criminal investigation there is all over. Rather than considering changes to the offence itself, it may be better to look instead at measures designed to improve the OFT's capacity to bring cartel prosecutions successfully. Indeed this in essence was the conclusion reached by the OFT itself in its Project Condor Board Review published in December 2010. Undoubtedly the OFT has sought to implement many of its recommendations and some time must elapse before they bear fruit. Criminal cartel investigations take a long time as the subject-matter is invariably complex; for example on 4 October 2011, the OFT announced it had dropped its probe of a company executive (just one) in the automotive components industry having first arrested him in February 2010. When the offence was first mooted by the then government and later considered during the Act's legislative passage, this element and the rationale for its inclusion in the new offence attracted considerable attention and debate. It did not slip into the Act during a late night parliamentary sitting or, like SOCPA 2005 which created the now to be abolished SOCA, get nodded through in a parliamentary rush on the eve of a general election. The case for change as now advocated should begin with the issue of whether it is proper in relation to an offence which alleges serious criminality and in respect of which the maximum penalty is five years' imprisonment, that there should no longer be any need to establish an accused's dishonesty. If a reworded cartel offence did not include the requirement to prove dishonesty, this would constitute a remarkable and troubling exception to the tradition of English criminal law when serious criminal conduct is involved. In economic crime, the offences applicable to the serious criminal conduct of individuals created either by the common law (such as conspiracy to defraud and offences of cheating the public revenue) or by statute (such as the Fraud Act 2006) have all included an element of conscious impropriety. Whilst this mental element may be expressed in slightly different terms in the calendar of offences falling within the rubric of economic crime, essentially they mostly require proof of dishonesty. One cannot defraud or cheat by mere recklessness or negligence. Of course there are offences of strict liability applicable to individuals as well as companies but these tend to be summary only offences where the conduct is not nearly so serious as in the more serious offences such as criminal cartel activity. The creation of new criminal offences has usually been preceded by a public consensus that the conduct to be criminalised is that which the majority of the public regard as nefarious or seriously harmful to the public interest. If the government contends that a criminal offence needs to be made easier to prove because a jury will otherwise not convict, one must ask whether such reluctance reflects a widespread perception that the conduct should not be prosecuted at all. So in the case of the cartel offence, is the perceived difficulty about proving dishonesty rooted in a fear that the public generally believe that anti-competitive activity is best sanctioned by the civil and not criminal law? Without a jury ever having had the opportunity to consider a verdict in respect of this offence, this question remains a real one. The proposals also fail to take into account the detailed consideration given to the reform of the law on fraud by the Law Commission in its 2002 report which gave rise to the Fraud Act 2006. Instead, it refers to an earlier 1999 Law Commission report. In its 2002 report, the Law Commission found that the R v Ghosh definition of dishonesty is unproblematic for jurors - a vital element of a large number of criminal offences - and that to abandon it would have a significant impact on the criminal justice system. Whilst it is argued that none of these proposals for reform are superior to the current offence, each requires a brief mention. Reliance on prosecutorial guidance. The DPP's recent guidance on prosecuting cases of assisting suicide may be analogous. But do we want to rely on prosecutors to tell us what should be a tort and what should be an offence? It becomes very difficult for a prosecutor to fairly distinguish one form of alleged "hard-core" cartel behaviour from another and so decide which to take no action against and which to prosecute. Surely it is preferable that the statute defines the offence and that the current formula of requiring cogent evidence of dishonesty is a suitable way of discriminating one alleged cartel from another? Excluding the offence for a list of virtuous or "white-listed" price-fixing agreements. It is difficult to see how such an approach would avoid the vice of uncertainty. Surely any purportedly benign agreement would be pro not anti-competitive and establishing this would invite a plethora of expert evidence into the criminal courtroom. Moreover, the burden of proving this would inevitably be cast onto the accused. A secrecy criterion. Such an element would be a novel one for our criminal jurisprudence in contrast to the settled law on dishonesty. Distinguishing legitimate confidentiality in commercial transactions from the concept of secrecy would seem a difficult test to apply in reality and thus allow for lawyers to endlessly argue it is the former not the latter. And why should secrecy be the proper moral foundation for distinguishing civil from criminal conduct? Defining the offence to exclude agreements made openly. But "openly" in relation to whom? The immediate customer who may be another wholesaler able to absorb a price increase by passing it on, or the ultimate retail customer unable to easily do so? Surely the kinds of cartels which most deserve prosecution are those which harm individual consumers, in relation to whom the concept of agreements between suppliers made openly or not has no application. There is plenty of cartel activity around the world but national and regional competition regimes vary considerably in the enforcement tools available to them. Criminal penalties do operate as significant deterrents if they are backed up by real cases coming to court. In the UK at least, the criminal cartel regime needs time to develop with more resources for investigation and prosecution. Removing dishonesty as an element of the cartel offence is an easy option but it may not speed up investigations or make prosecutions before juries easier. The government may have its work cut out to come up with a better regime than the one we have at present. Read book "THE PRIME MINISTER"
I get pleasure from, cause I found exactly what I was taking a look for thanks. A public official receives a bribe to award a contract. 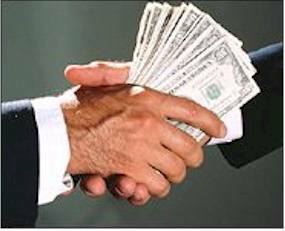 Does the bribe “belong” to the official or to the state that he or she represents? The answer to the question can matter a great deal to the success of a claim. But the issue is controversial and the answer unclear in English law. The English position is summarised in the article reprinted below which has previously appeared on this blog. Igor Montarroyos de Sousa Procurador da Fazenda Nacional na Advocacia-Geral da União São Bernardo do Campo, São Paulo OAB/PE 20735 - LADRAO - TRAFICANTE DE ARMAS. Igor Montarroyos de Sousa Procurador da Fazenda Nacional na Advocacia-Geral da União São Bernardo do Campo, São Paulo. OAB/PE 20735 - ADVOGADO LADRAO. Igor Montarroyos de Sousa - Procurador da Fazenda Nacional OAB/PE 20735 - Bandido - Traficante de armas.Igor Montarroyos de Sousa - Procurador da Fazenda Nacional OAB/PE 20735 - Bandido - Traficante de armas. Página inicial do LinkedIn O que é o LinkedIn? Cadastre-se hoje mesmo Entrar Igor Montarroyos de Sousa Igor Montarroyos rocurador da Fazenda Nacional na Advocaciade Sousa P-Geral da União São Bernardo do Campo, São Paulo, Brasil Administração governamental Anterior CHESF Formaçãatura de Pernambuco 86 conexões Cadasto acadêmica Escola Superior de Magistrr Igor. É grátis! Faça como 300e-se no LinkedIn e acesse o perfil completo de milhões de profissionais e cadastre-se no LinkedIn para compartilhar conexões, ideias e oportunidades. Visualize quem vocês conhecem em comum Solicite uma apresentação Entre em contato direto com Igor Visualize o perfil completo de Igor Histórico profissional Experiência Procurador da Fazenda Nacional Advocacia-Geral da União setembro de 2008 – até o momento (6 anos 5 meses) Procurador na Divisão de Dívida Ativa da União - DIDAU perante a Procuradoria Regional da Fazenda Nacional da 3ª Região.CHESF Advogado CHESF dezembro de 2002 – setembro de 2008 (5 anos 10 meses) Idiomas Inglês Espanhol Alemão Competências Administrative Law Tax Law Litigation Legal Research Mediation English Public Law Tax Legal Advice Power Point Microsoft Word Spanish Microsoft Office Public Speaking Corporate Law Visualizar + 2 Formação acadêmica Escola Superior de Magistratura de Pernambuco Especialista, Direito Processual Civil 2005 – 2006 Universidade Federal de Pernambuco Universidade Federal de Pernambuco Bacharel, Direito1997 – 2002 Visualize o perfil completo de Igor para...Ver quem vocês conhecem em comum Solicitar uma apresentação Entrar em contato direto com Igor Veja o perfil completo de Igor Essa pessoa chamada Igor Montarroyos de Sousa não é quem você procura? Visualizar outros resultados com o mesmo nome Pesquisa por nome Mais de 300 milhões de profissionais já estão no LinkedIn. Encontre quem você conhece.Por exemplo: Jeff Weiner Procurar usuários por país LinkedIn Corporation© 2014 Contrato do Usuário Política de Privacidade do LinkedInDiretrizePosté par Igor Montarroyos à 13:05 - ADVOGADO LADRAO - Commentarios  - Permalien [#] Tags : Advogado Brasil OAB/PE 20735 Igor Montarroyos de Sousa GOOGLE Igor Montarroyos de Sousa - Procurador da Fazenda Nacional OAB/PE 20735 - Bandido - Traficante de armas. SAY NO TO CORRUPTION STORE, Being Dedicated To My Country!